I am so excited to finally taste the final product of this two part recipe. The ingredients list and the pre-taste indicates that it is going to be superb. My friend David made something very similar to this a few months ago. Since then, I have been searching for a recipe to recreate his masterpiece. I stumbled across a fantastic food blog called Scrumptious, an African food blog written by Jane-Anne Hobbs Rayner from Cape Town. Not only does Jane-Anne have this cheese recipe, she also posts such beauties as Lemony Green Beans with Frizzled Prosciutto, Fried Breadcrumbs and Aioli, and Buttermilk Cheesecake with a Strawberry Topping.You really should check it out. The recipes are fresh, the ingredients are accessible, and the photography is stunning. 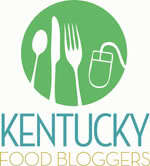 I have perused her blog for several hours and found many recipes I can’t wait to try. Have a look yourself, won’t you? 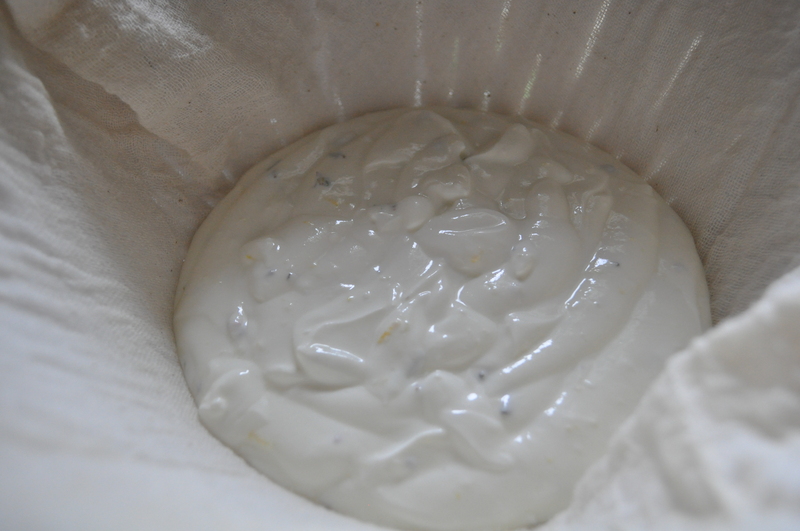 In a large bowl, whisk together the yogurt, cream, lemon zest and juice, garlic, fresh herbs and salt. 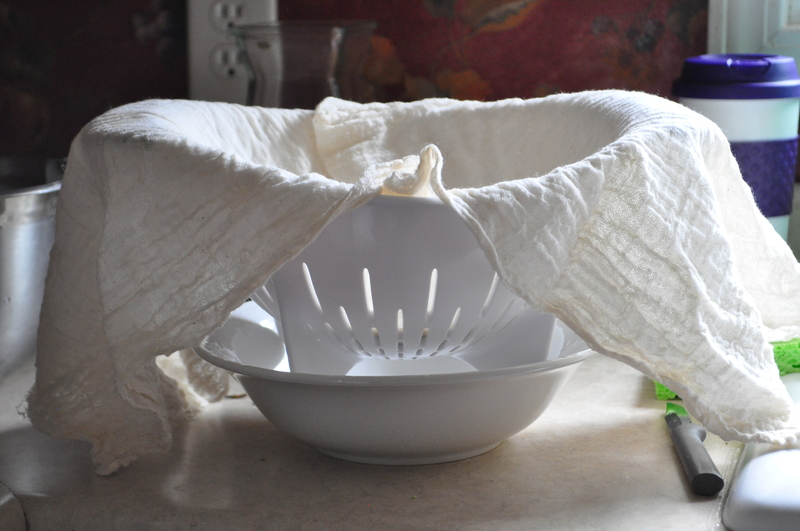 Place a piece of cheesecloth or muslin (or a fine clean tea towel or napkin) in a sieve and place it over a bowl. Place the yogurt combination on top of the cloth. Refrigerate for two or three days, until the yogurt reaches the creamy consistency you desire. Come back in a few days to see The Results- Part 2! Thanks for the compliment but don’t sell yourself short, ever. This looks great!! Thanks so much for commenting on my post! I really enjoy your blog and look forward to seeing what you post in the future. Your food/beverages are always so unique.